Episode 50: Are You Ready For Ultra Street Fighter IV? Last week, I talked about my favorite online games and one of them is Street Fighter IV. I don’t know why but this is the only fighting game that I play religiously. So I’m incredibly excited that Capcom is going to release Ultra Street Fighter IV, the “last” update the game is going to have (until Street Fighter V, maybe?). A lot of fighting game fanatics are really tired of it being updated. I’m the exact opposite. I can’t wait for it to be released! If I could go to the United States and travel to every testing location and get to try it, I would! As they would say, I’m totally hyped for the game! But I do understand why a lot of people are tired of the rehashing of the this World Warrior tournament. For one thing, I do know that most of the new characters aren’t really new at all. 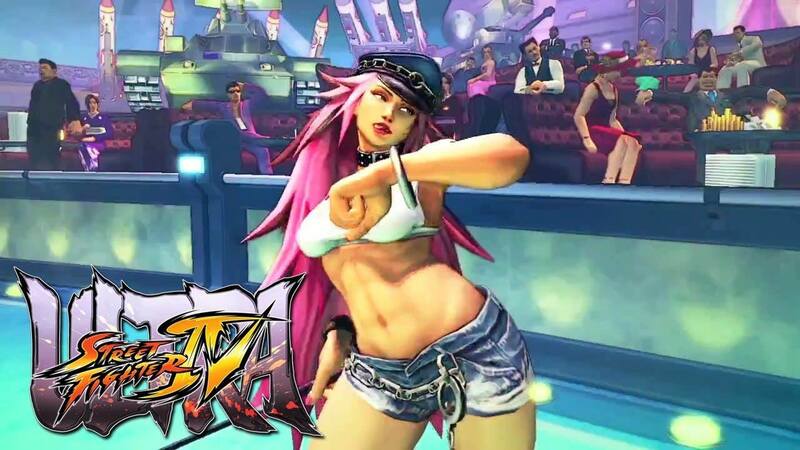 The four previously announced characters for USF4 are Poison, Hugo, Rolento and Elena. These four characters have appeared in another game called Street Fighter X Tekken. And they look and move exactly the same in USF4 from when they appeared in that game! But I don’t mind that much. I mean, sure they have the same moves and attacks. But SFxT is a totally different game! The mechanics are different (it is a tag game after all) so a lot of their old tricks will probably not work in USF4. At the same time, they’re going to probably get a lot of new combos because of the transfer to the USF4 engine. So, I may be familiar with their moves and attacks but I’m still going to have to relearn a whole lot to adapt to them here. Also, a lot of fans have chimed in regarding their dislike for the 5th new character, Decapre. I think the main complaint they have with her is that she’s just “Cammy with a mask” or “Evil Cammy.” Well, in some aspects, I do believe they are right to say that. But, while watching the lead designer use Decapre, it’s easy to see that she doesn’t necessarily play the same way. Her moves are totally different. And she’s a charging character instead of being a quarter-circle motion person. And I love this! Finally, I have a female charge character that I can use! Maybe it’s time to switch out Vega for Decapre! They’re also rebalancing the entire game for Ultra Street Fighter 4. I hope they do a good job at it! I’m so sick of my Vega getting stuck in the corner and not being able to escape the endless onslaught of jumping in kicks and punches! I hope he’ll get his moves improved just so I can finally escape! But it may just be a moot point since I’m going to be trying out Decapre for the first few days just to see if I can use her effectively! They are changing the fighting engine with new tricks like Red Focus and Delayed Wake Up. But the thing is, I’m not sure how that would help me. I would really need to play the game in order to get a better understanding of how all of this will work. So, Capcom, on the extremely slim chance you’re reading this, if you’re looking for testers, I’m available *wink*. While I’m on the subject of updating games, I’d like to rant about patches… but I’ll do that next week! Are you excited for Ultra Street Fighter IV? Or are you going to stick with the current version? Whatever your thoughts are, let me know in the comments section below! ← There are two after credits scenes in Captain America: The Winter Soldier!